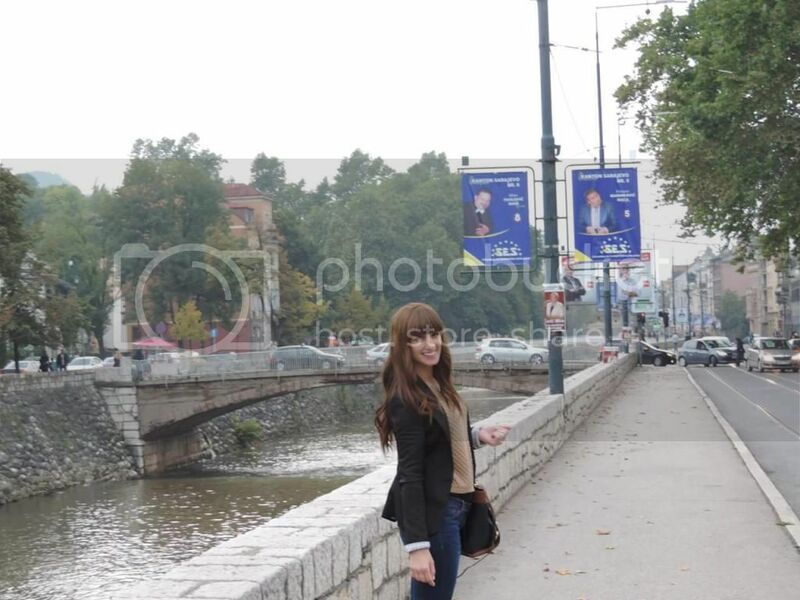 This was taken in Sarajevo on the first day of Eid (4th October 2014). My mum and i decided to take a walk around the city. We caught a cab to the Latin Bridge. It is only a two minute walk from the old town. 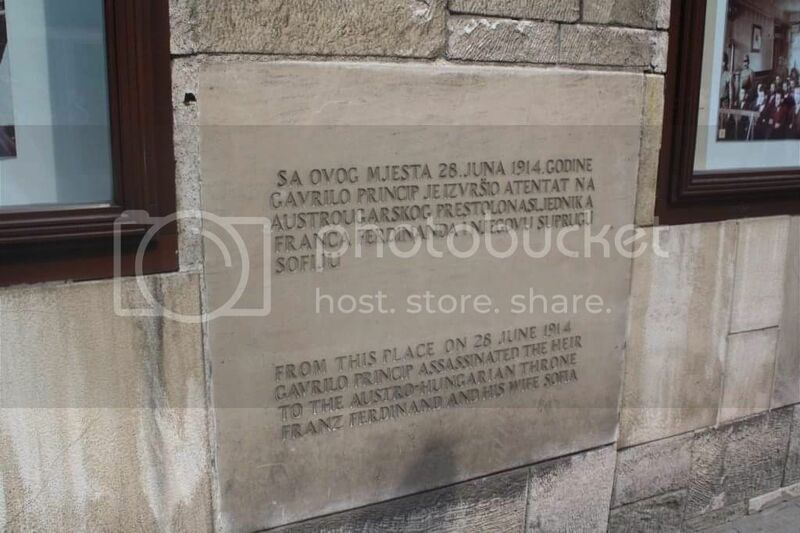 On 28th of June, 1914, Sarajevo found itself in the epicenter of world politics. Gavrilo Princip, a 18 year old Serbian school boy, assassinated Archduke Franz Ferdinand, the heir apparent to the Austro-Hungarian Empire. Right behind me in the above photo is the Latin Bridge (Latinska ćuprija). On the northern end of the bridge was the site of the assassination where you can find a museum on everything that happened that day 100 years ago which would change the world. The Miljacka is the River that passes through Sarajevo. After you have explored the old town, take a stroll by the river. There are several bridges, so you can go anywhere, taking in the sights or stopping for a drink or bite to eat. The river is very shallow, with little waterfalls as it flows down hill. Behind me is the town hall/national library, built from 1892-94. 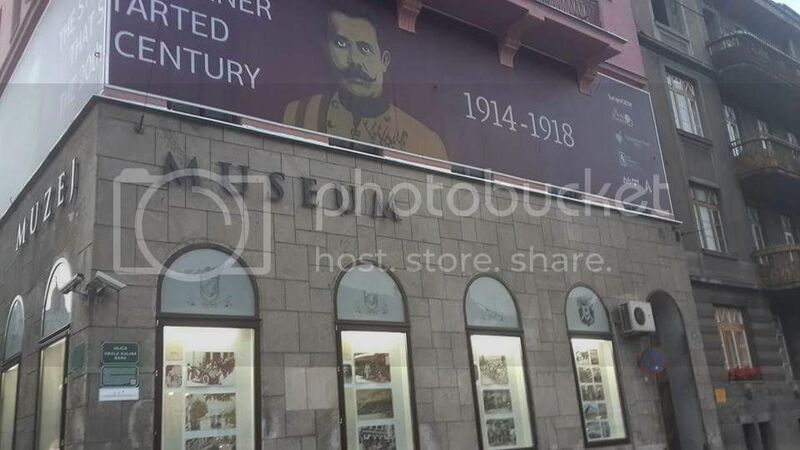 The building was constructed to house the city administration and the construction works were financed from the funds of Sarajevo Municipality.The City Hall is the biggest and the most representative building from the Austro-Hungarian period in Sarajevo.On 25 August 1992, Serbian shelling caused the complete destruction of the library; among the losses were about 700 manuscript and a unique collection of Bosnian serial publications, some from the middle of the 19th century Bosnian cultural revival. Before the attack, the library held 1.5 million volumes and over 155,000 rare books and manuscripts. The majority of the books could not be saved from the flames, at least one person died while trying to save these previous books. Sarajevo’s old bazaar and the historical and cultural center of the city. Baščaršija was built in the 15th century when Isa-Beg Isaković founded the town. The word Baščaršija derives from the Turkish language. Sadly due to a large fire in the 19th century, today Baščaršija is half the size that it once was. Pictured above and below is the Bezistan. 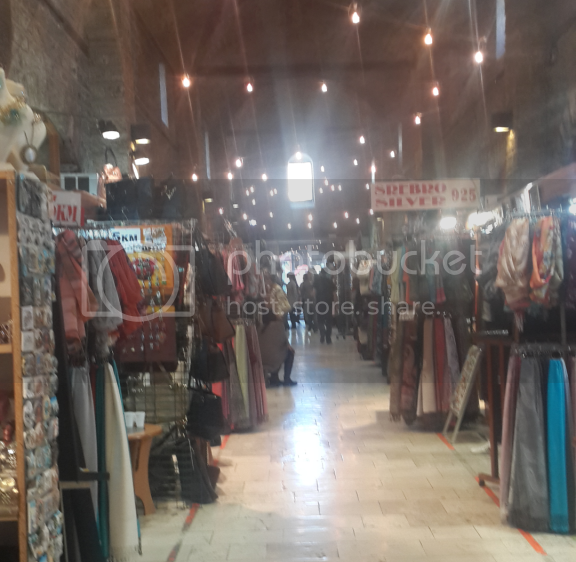 It is a covered market that sell handbgs, souvenirs, jerseys, jewellery, watches and sunglasses. Bezistans were built in Ottoman Empire and their design is based on the design of the mosques. It is heaven for any girl who loves handbags! All copies of course but almost identical to the real thing. Here i am wearing a Michael Kors i purshased a few days earlier. The quality is so good, and most average 50-70KM, although you can bargain a bit with the shop owners. The Sebij is one of the symbols of Sarajevo and meeting spot for the locals. It is also known as the pigeon square by tourists as it is always surrounded by them and for a small coin donation you can feed them. The word sebilj comes from the Arabic language and it means ‘’a building on the road that has water’’ i.e. a fountain of a particular shape on the square. Sarajevo’ s Sebilj was built by a Bosnian vizier Mehmed-paša Kukavica in 1753, and it is located 5 meters above the present one. It was demolished in 1891. and in the year of 1913. a new one, made by the drafts of the first sebiljs from Sarajevo from the 16th century, was made. According to a local legend you will quite soon return to Sarajevo, if you drink the water of the Sebilj Fountain. Maybe thats why i vistited 3 times in 14 months! Have you ever been to Sarajevo? Share you story below! Your blog is beautiful. Thank you! I was wondering if you could comment on the stray dogs in Sarajevo. I am planning a trip soon but am uncomfortable with a large amount of stray dogs around. That is why I am trying to keep the trip very short (half a day), instead of the few days it deserves. Any insight will be appreciated, thank you! Thank you. Have a look at my Sarajevo tips page about the dogs. Honestly ive never had a problem with the strays. They only hang around in packs at night. The ones at attack people, are only defending themselves from being attacked. Illegal dog catchers are growing in Bosnia and all around eastern europe, its such a sad thing. Like i said ive never had issues, even fed a few of them, and gave one a hug. Animals have feelings too, and only attack if threatened. Thank you Ariana for your insight. I agree, its sad about the strays. Thank you for highlighting the issues and for the link to help!